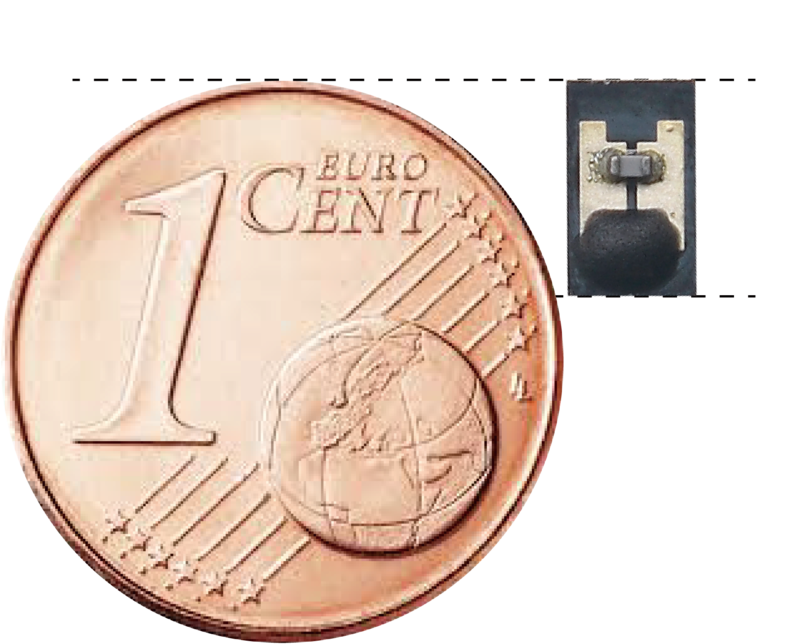 To save space and simplify enclosure design and sealing, STMicroelectronics has introduced a miniature, wireless battery-charging chipset. The combination of the STWBC-WA charging-transmitter controller and STWLC04 wireless battery-charger receiver enables power transfers up to 1W with the smallest coils available: 11mm diameter coils on the receive side and 20mm for the transmitter. Power-transfer capability can be increased to 3W by using larger coils and a full-bridge circuit on the transmitter side, notes the company. Additionally, without the need for a conventional charging connector, enclosure design is simplified, with sealing to prevent contamination by dirt or moisture. The chipset supports wireless-charging for Li-Ion or Li-polymer battery chemistries and includes safety mechanisms such as foreign-object detection, active transmitter-presence detection, and receiver thermal protection. The transmitter chip has integrated drivers, native support for half-bridge and full-bridge topologies, and a configurable firmware option for a turnkey or customised application. The receiver supports direct battery charging, which allows smaller circuit-board size, and features a 32bit microcontroller core, an efficient buck converter with synchronous rectification, and integrated drivers. The company offers the STEVAL-ISB038V1 evaluation kit, which includes transmitter and receiver boards, as well as a GUI that enables engineers to monitor system behaviour and fine-tune parameters. The STWBC-WA transmitter controller is packaged as a VFQFPN32 and the STWLC04 receiver is in a 77-bump 3.12 x 4.73mm flip-chip package.